In a case in which an American father alleged that the child’s mother, a Moroccan-born dual U.S. and Moroccan citizen, had threatened to abduct their young child to Morocco, an Alabama appeal court has upheld a lower court order that awarded custody to the father and that required that the mother have only supervised visitation with the child. Lee v. Lee, Court of Civil Appeals of Alabama, April 16, 2010. The parties had met in Bahrain, when the father when stationed there with the U.S. Navy and had then moved to Alabama. The father had received naval orders to relocate to San Diego, where he had secured suitable accommodation. The mother worked at "Club Med" resorts in such places as Florida and the Bahamas, from which it was inferred that she is subject to frequent relocation. 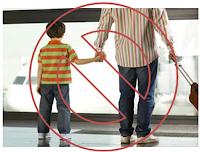 The mother assailed the requirement that her visitation be supervised, citing the proposition that a trial court may not select an overly broad restriction that does more than address a particular concern and thereby unduly infringe upon the parent-child relationship. • Evidence in the record tending to show that the mother's father was a law-enforcement official in Morocco and that one of her sisters worked for an airline serving the Middle East. • Evidence indicating that the mother would be able to obtain a replacement passport for the child by producing a copy, currently in her possession, of the child's birth certificate. 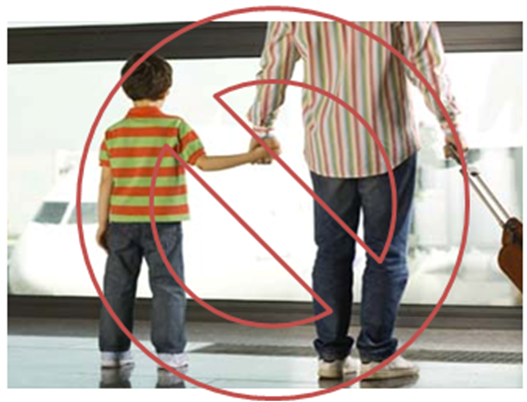 For further discussion of orders preventing international child abduction, see Jeremy D. Morley, International Family Law Practice, Chap. 11, Preventing International Child Abduction. Morocco. Hague Abduction Convention. Update.